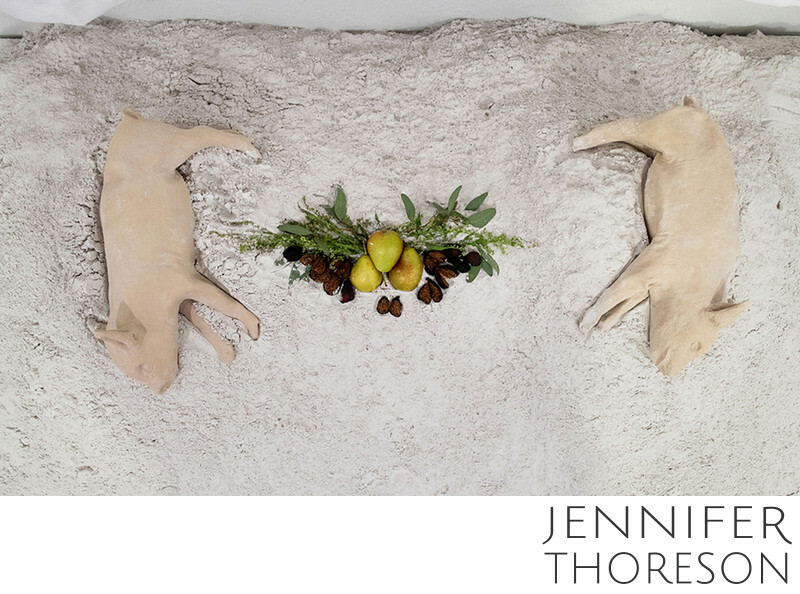 In this installation, two rubber pigs lay on a mass of white ashes. To create the sculptures of each pig, I painted liquid rubber onto a plastic mold to form a skin. Once cured, I carefully pulled the rubber skin from the mold and inverted it, creating a fleshy, hollow, soft form that draped delicately over the ashes. They looked like weak, vacant bodies, and paired with the ashes, represent the passing of human life.